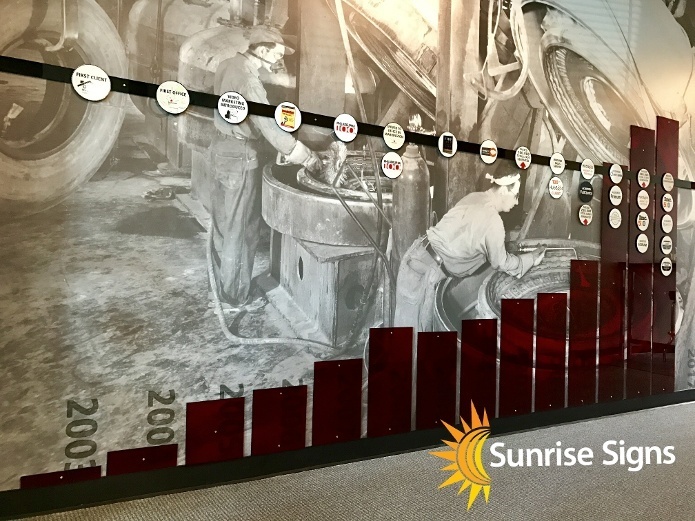 Since 2008, Sunrise Signs has been successfully helping our customers increase their mobile brand presence and grow their businesses. We've done this by following one fundamental principle - be passionate about helping our customers. 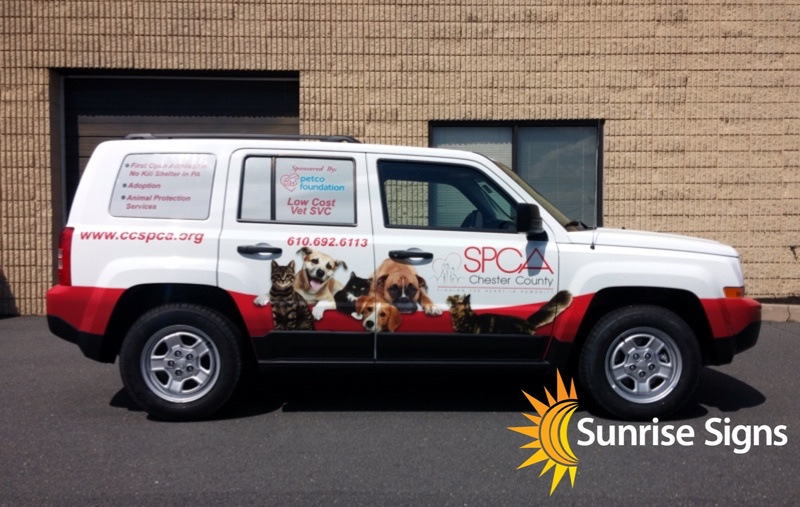 Our passion can be seen in every facet of the vehicle wrap process. From strategy to design, production to installation, we pride ourselves on insuring the absolute best service that will provide you the most benefit. Every vehicle wrap we have on the road doesn't just reflect the reputation of our customers, it's our reputation as well. There is no “one size fits all” approach when it comes to fleet branding. 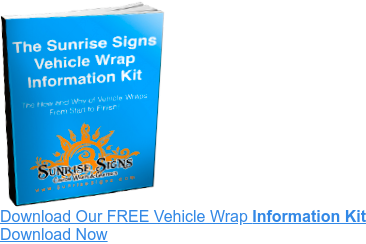 At Sunrise Signs, we start every project with a detailed consultation that identifies the needs, objectives, and intentions for your vehicle branding. We then use this information to develop a custom strategy and recommend a solution that best addresses the unique needs of your company. We won’t tell you to fully wrap a vehicle if it isn’t necessary. We won’t push unneeded services and add-ons. We want what works best for your needs, not ours. Our designers are artists who know how to execute. With years of industry specific experience, they strike the balance between inspired designs and effective mobile advertising. You’ll work directly with a dedicated graphic artist to create a unique design through in-person consultations, layout proofing, and revisions. Let our passion for design, inspire your customers. We want every fleet branding experience to be as easy as possible for our customer. For our local clients we provide a climate controlled indoor installation facility conveniently located in the Philadelphia Tri-State Area. We also have a developed network of over 400 installers throughout the United States for national and out of state accounts. Wherever you are, we’ve got you covered. We’re proud to offer more than just fleet branding and vehicle wraps. Let us help take your interior office branding to the next stage using dimensional lettering, wall wraps, illuminated signs, and much more. We’ll use these branding tools to professionally help your company visually communicate its history, core values, mission statements, and professional image. When we help you reach your goals - we’ve reached ours. At Sunrise Signs we’re in it for the long haul. The true measure of our success is when you achieve yours. Give us a call today and let’s move you forward!